16,000sf renovation to existing doctor’s offices. 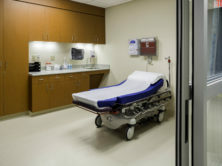 Work included new exam, trauma, x-ray, laboratory, waiting rooms, support spaces and offices to accommodate the needs of Occupational Medicine, Employee Health, Pre-Admission Screening, Coumadin Clinic and Outpatient Lab. The scope included new walls, ceilings, lighting, millwork, finishes, plumbing and upgrades to the HVAC system. 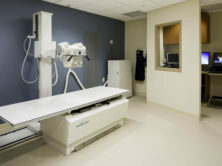 The project area was located directly above eight operating rooms and surgery support areas and directly below a sleep study clinic.